Apparently Soulja Boy is about to get all up in it again, after having not learned his lesson from the last time. The rapper has now released the SouljaGame Handheld on his official store, and it very closely resembles a Playstation Vita much like the other consoles he’d previously marketed. 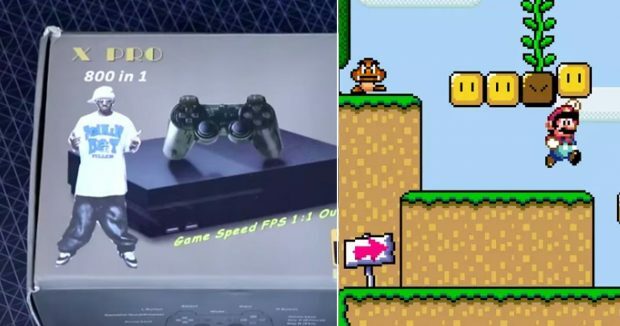 This isn’t the first time he’s been marketing rip-off consoles, as he previously had numerous consoles on sale that could reportedly play games from all manner of different consoles. His main problem, however, was that he began to market these consoles against the wishes of the various publishers whose games he had illegally put on those consoles. Soulja Boy was quite cocky that Nintendo, not to mention anyone else, would do anything to stop him from selling the consoles, but several weeks ago he was forced to pull all of his consoles from his store, apparently under the threat of legal action. Him putting the SouljaGame Handheld up on his store makes it seem like he hasn’t learned his lesson. Along with it being quite clearly a ripoff of the Playstation Vita, the game’s marketing and advertising pages just make it even more clear that it’s a Chinese knockoff, likely from Aliexpress still, something that’s quite common in video gaming not just with consoles but video games as well. The SouljaGame Handheld’s advertising pages include a wide variety of generic clipart along with a lot of blurbs in broken English. So far we don’t know what sort of games the SouljaGame Handheld has, if any at all, but it’s likely got enough software to play games from a wide variety of handhelds. There’s no telling how long it will take for Sony and Playstation to get Soulja Boy to pull this new handheld, but he might try and resist as long as possible. Whether Sony and Playstation decide to go through with a lawsuit anyway whether he pulls it or not remains to be seen.